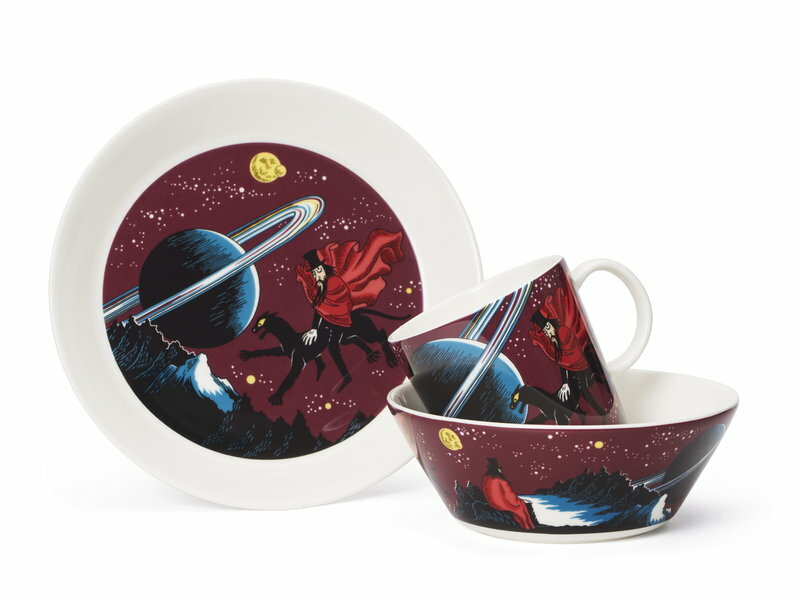 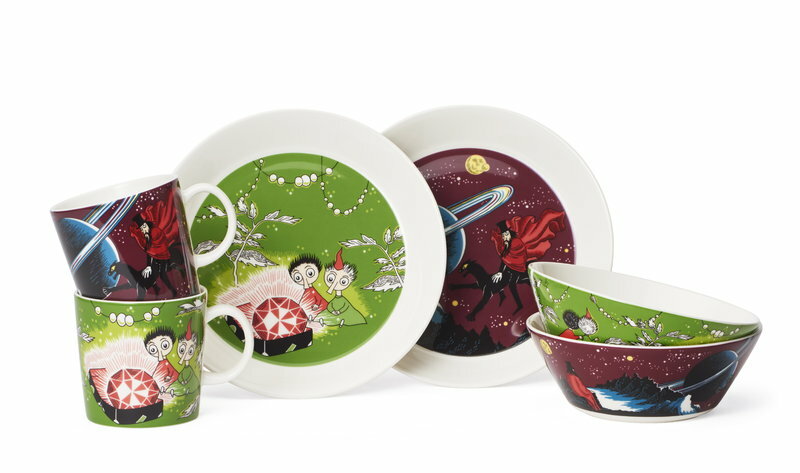 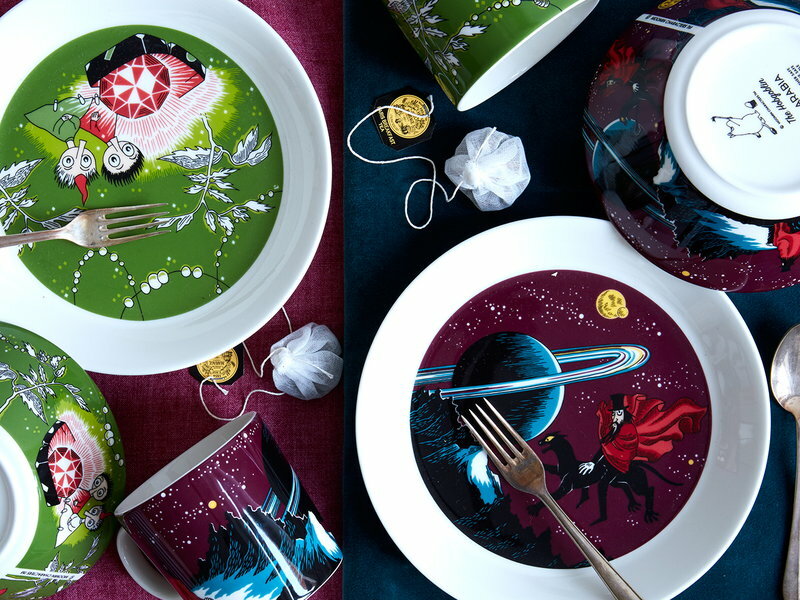 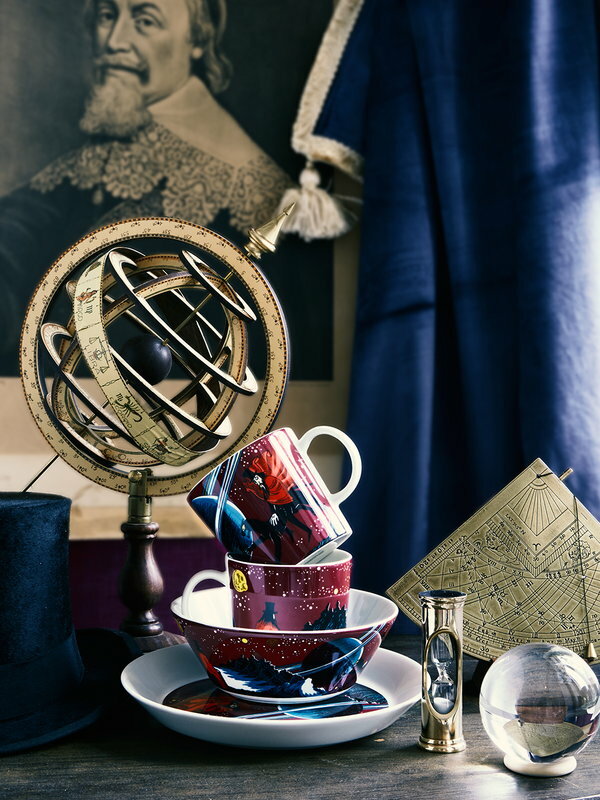 The Hobgoblin plate from Arabia’s beloved Moomin collection features the mysterious magician riding through the night sky on his black panther. 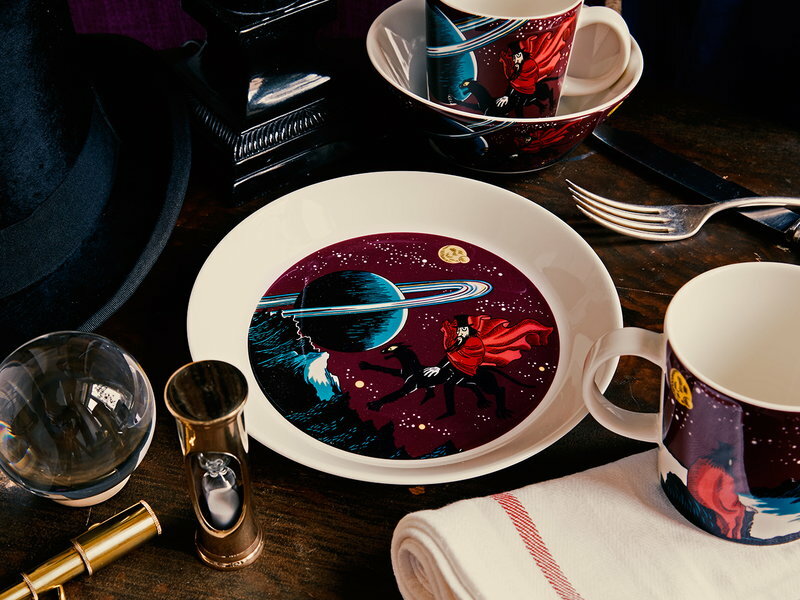 Tove Slotte’s illustration is based on Tove Jansson’s story The Magician's Hat from 1948, where the Hobgoblin arrives to the Moominvalley in a search of the greatest ruby in the world. 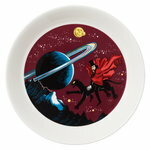 Measuring 19 cm in diameter, the ceramic plate brings joy for both children and the grown-up.